Learn the world's best self-defense skills today and protect yourself and your family from a real-world threat or violence with our Krav Maga Classes in Racine. Adopted as the official fighting system of the Israeli Defense Forces, Krav Maga has now spread around the world as the most effective self-defense system for everyday men and women. Build your skills from the ground up and learn how to defend yourself at a moment's notice today! Unlike traditional Martial Arts training, Krav Maga teaches you how to defend yourself with instinctual movements in any situation. Learn how to react to an attacker without wasting an instant and develop powerful strikes that become second-nature. In a real-world altercation, you won't have long to respond to an attack. With our Krav Maga Classes at Chay's Tae Kwon Do, you'll be ready whenever violence crosses your path. Because you need to be ready for a real-world threat in your everyday life, our Krav Maga Classes in Racine push you through a total-body workout that boosts your power in any position. 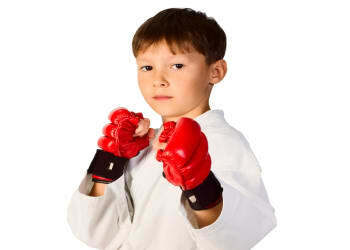 During the first few moments of an altercation, you'll be exhausted as you do everything in your power to stay safe. 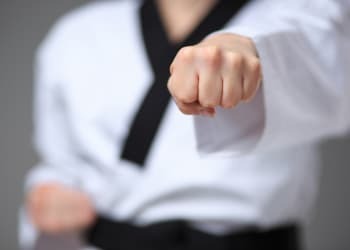 But with our Krav Maga training at Chay's Tae Kwon Do, you can be a little more prepared to dig deep and come out on top after developing an improved fitness level and total-body strength. Don't wait until it's too late. Prepare for a real-world threat today with simulated training and realistic reenactments during our Krav Maga classes in Racine. Our experienced instructors at Chay's Tae Kwon Do will prepare you to react at a moment's notice to keep yourself and your family safe. Learn more today by filling out the short form on your screen now!